Have you ever heard of a naked egg experiment? It’s a trick involving dissolving eggshells — one of those fun kitchen experiments that feels almost absurd to call a lesson. Everyone will want to take part in this cool activity. Why do a rubber egg experiment? 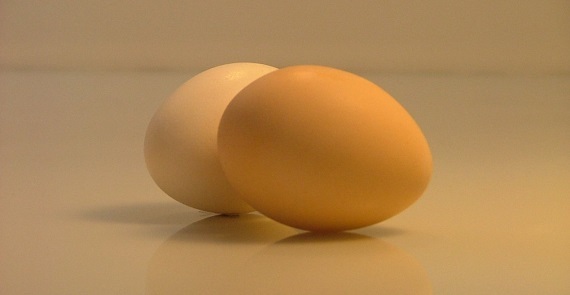 It’s a great way to teach kids about the different parts of an egg, what their functions are, and how a chemical reaction works. So gather your supplies and get ready for a scientific exploration everyone in the family will find fascinating. Before you start, ask your kids to write down their predictions for what will happen to the egg. Give them a few prompts if they have difficulty. Do they think it will change color? What will it feel like? Will it change shape? Place the egg in the jar. Add enough vinegar so that the egg is completely submerged. Your kids may ooh and ahh over the bubbles that arise during this step. After 24 hours, dump the first batch of vinegar and cover the egg with new vinegar. Let it sit for six more days. As the days pass, your kids will note how the shell dissolves, hence the nickname “naked egg” experiment. Remove the egg from the vinegar. While it has not been cooked, it will take on a rubbery feeling from the vinegar. It will also have a thin brown slime on it, the remnants of the shell. You can gently slough or rinse it off. Now comes the fun part. Gather a few tools to help you with your scientific investigation, such as a flashlight and a magnifying glass. Let your kids handle the egg. Ask them how it feels. Is it soft? Hard? How is this similar to or different than a hard-boiled egg? Encourage them to turn it over and look at every part. You may even let them bounce it gently on the kitchen counter — just don’t do it too hard, or the egg will explode. Take your flashlight and shine it on the egg. Can you see the yolk? What does it look like? Roll the egg gently back and forth as you shine the light on the egg. Can you see the yolk moving? Use the magnifying glass to explore the different parts of the egg. What do you see? Ask your kids what they think each piece is and what its function is within the egg. When you have finished looking over every nook and cranny of the egg, you can let your children break it open. This can be messy, so you may want to do it over the sink or in a bowl. Let them poke a hole in the egg. They can see how much pressure it takes to break it open and play with the membrane after it comes off. Just make sure to have them wash their hands when they’re done. Discover other fun home experiments with kids by sending them to our after-school science clubs or science summer camps. We do loads of activities designed to teach them about science while they have a good time. Our programs in Maryland, New Jersey, Delaware and Pennsylvania are geared to kids ages 4-11. Get in touch today to learn more about Science Explorers.